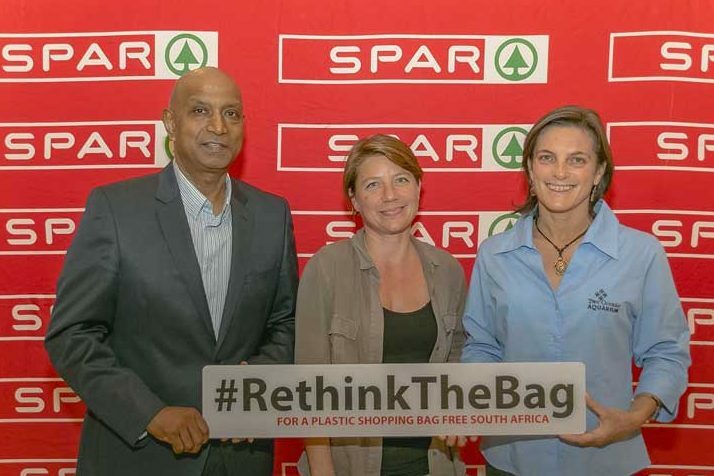 SPAR South Africa’s Eastern Cape (EC) division has declared war on plastic bags as the retailer spearheads a significant step forward in the battle to protect the environment. In a move which has been hailed by environmental groups as a major development, the SPAR EC team have launched an initiative to urge customers to consider alternative packaging options. Facing a massive challenge to change the consumer’s mind-set, SPAR EC has launched a campaign to encourage shoppers to swop plastic bags for paper bags. In two days in April, members of the public were given a paper bag free of charge for every 10 plastic shopping bags brought to any one of SPAR’s Eastern Cape outlets. An initial order of 300,000 paper bags was placed to accommodate the demand. These were wax-lined, waterproof reusable bags, capable of carrying 12 kg. SPAR South Africa was established in 1963 and operates four retail formats: SPAR, SUPERSPAR, KWIKSPAR and SPAR Express. South Africa was the first country outside of Europe to join the SPAR organisation. The SPAR Partner grants licences to independent retailers to operate stores under one of the four formats, with almost all of the current store portfolio being independently owned. In 2016, sales per m2 increased by 6% in Euro terms, and sales for the year from SPAR South Africa’s 821 stores were €4.47 billion.